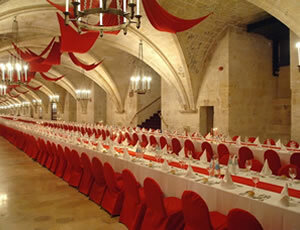 Accommodates up to 900 guests seated and 1,500 guests for a stand up occasion. 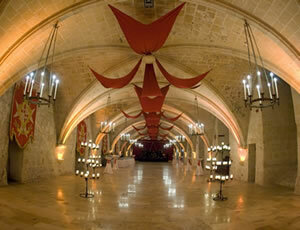 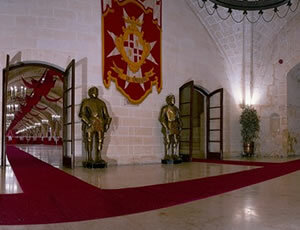 The La Valette Hall is the main Banqueting Hall at the Centre. 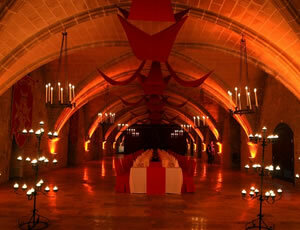 Formerly the Great Magazine Ward, it is an architectural gem with its combination of splendid vaulted ceilings over such a sheer length. 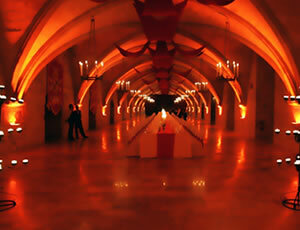 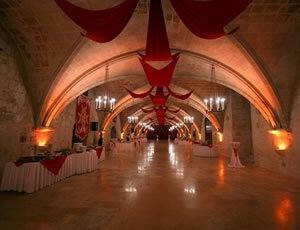 It is one of the most elegant banqueting halls in the Mediterranean. 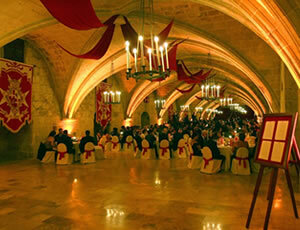 Dining in the La Valette Hall can be made even more of an experience when the food and the atmosphere are combined to create a night dedicated to a theme: perhaps a Medieval Banquet complete with jugglers and waitresses in costume, or the ever popular Night of the Knights.